The most common questions are. We hold classes every day except Sunday. We are very parent-friendly, so you can choose on a day to day bases what class to attend. We recommend bout two times a week. Our programs are open enrollment, and a student can begin whenever is most convenient for you. Our students range from 3 and a half to about 50, and classes are broken up by age and skill. Either your kids have asked you to give karate a try, or you are looking into it, for the benefits like focus self-discipline, self-control, and confidence, that karate is known for. But most likely you don’t know too much about styles, systems, and what to expect or how to get started. Over the years of teaching hundreds of children, we found most have some interesting ideas of what will happen in class or what they need to know. So, we’ve developed a short introductory program with three lessons, including a uniform, the first lesson, is private with you in the room. Simply put, the best way to find out if they like it is to, try it. We don’t encourage just watching, because kids don’t know what they’re looking at. Also, a room full of parents and kids can feel a little intimidating, and we want their first experience to be the best that it can be. 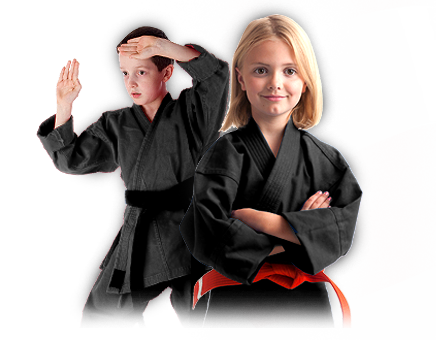 During the private lesson, we show your child how easy it is, how much fun karate is, and last, what to expect when they walk on the training floor, for the first time. In the lesson, we go over class times, program prices, and events that we hold. Everything you need to make the best decision. When your future karate expert comes back to the school, he or she will walk into class with confidence, or at least a little more than they would have before. Instead of feeling nervous, they can enjoy their two group classes and not worry so much about what they’re supposed to do.